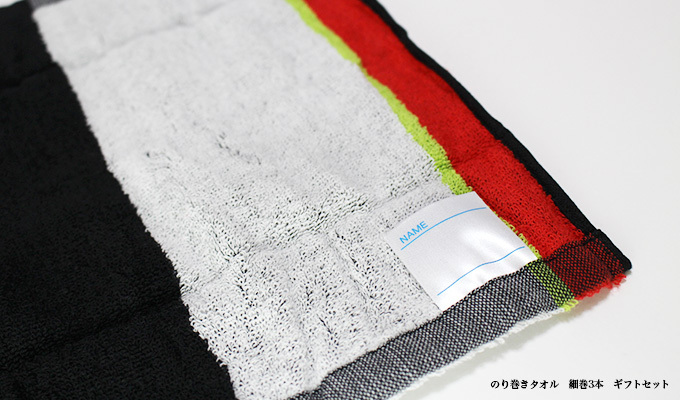 Amezing! 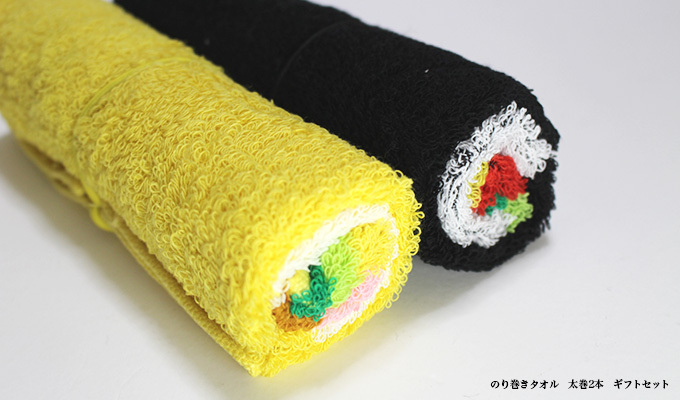 "Norimaki"towels look like sushi rolls. 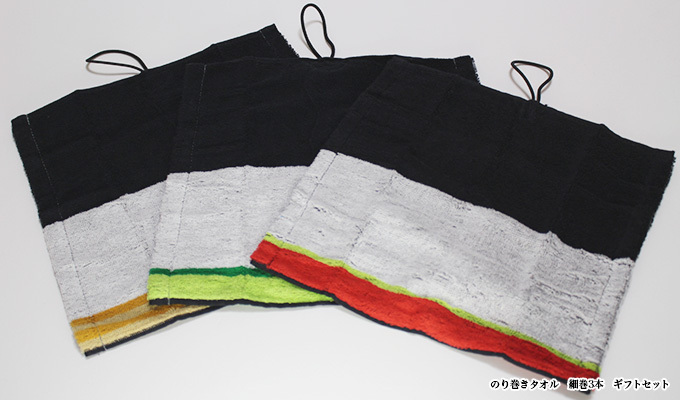 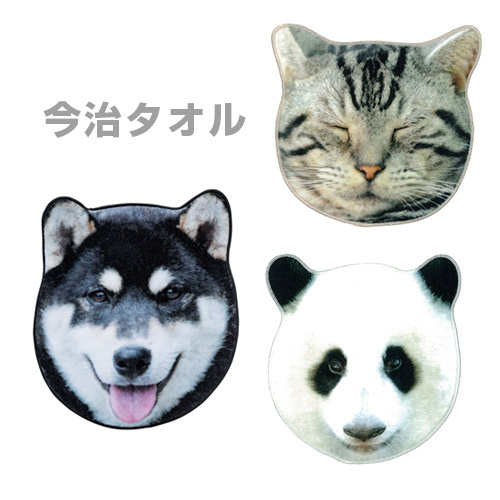 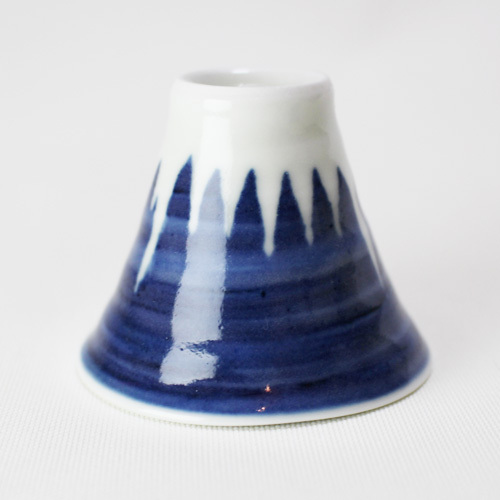 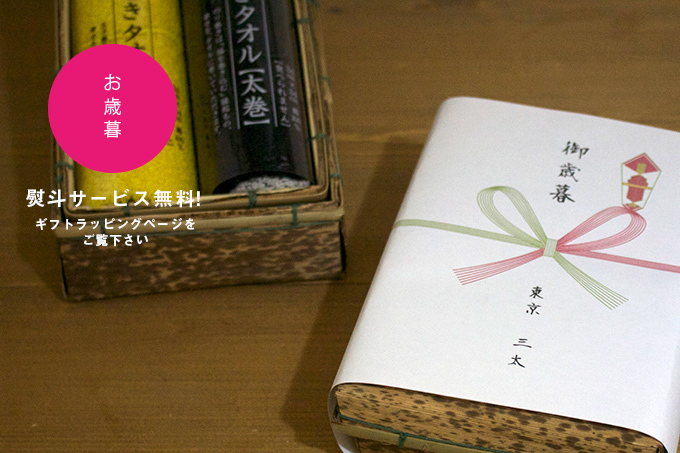 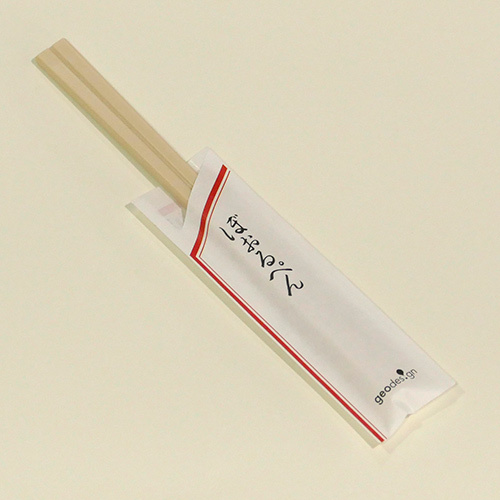 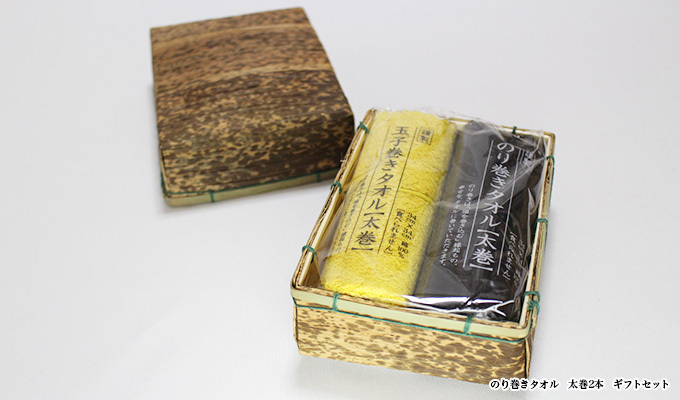 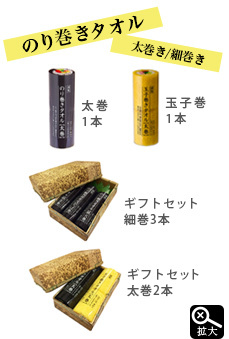 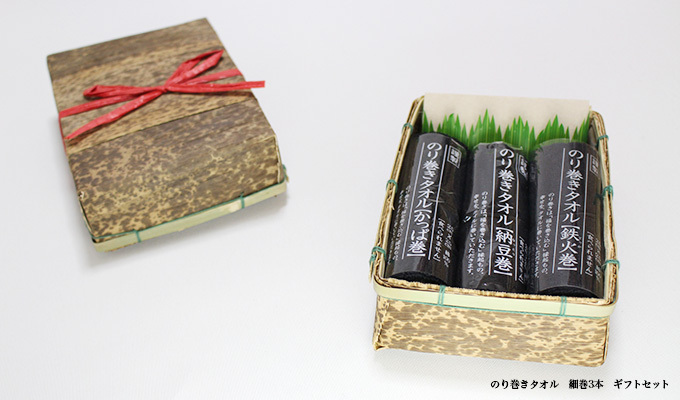 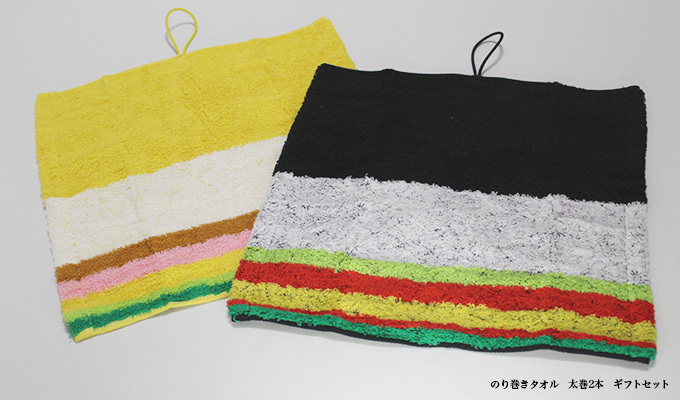 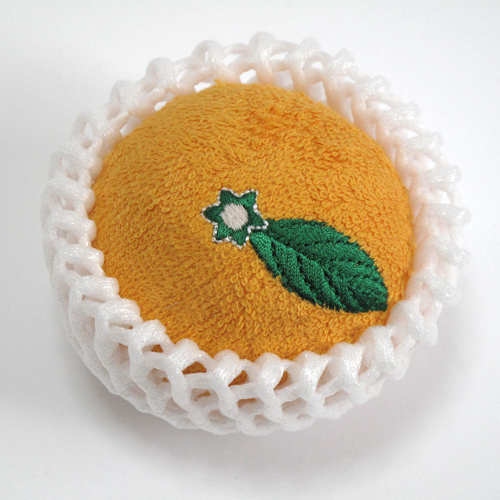 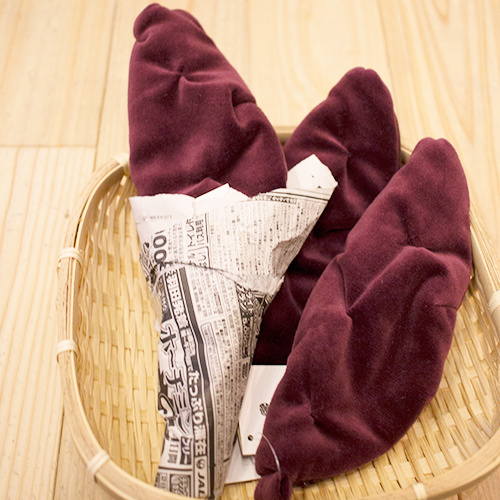 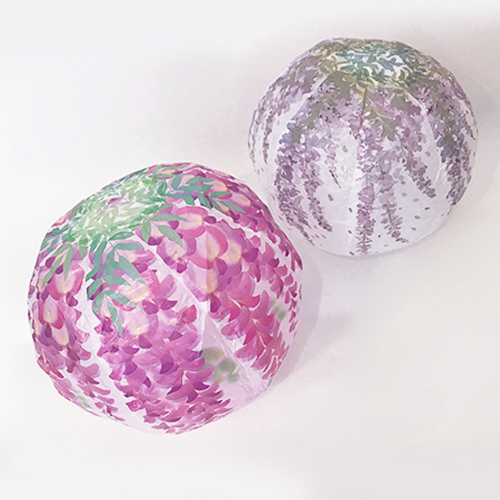 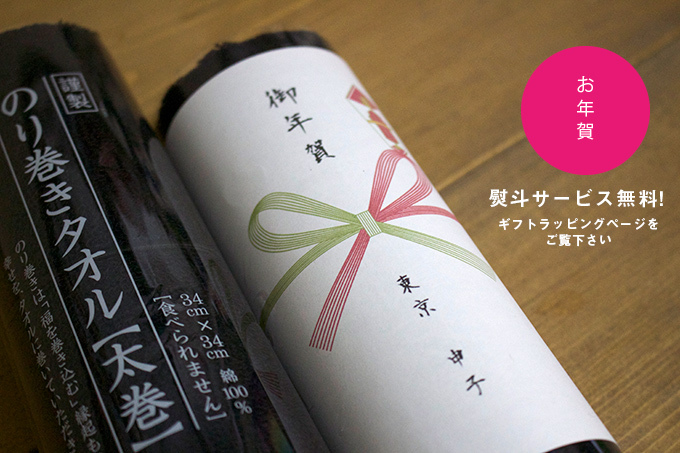 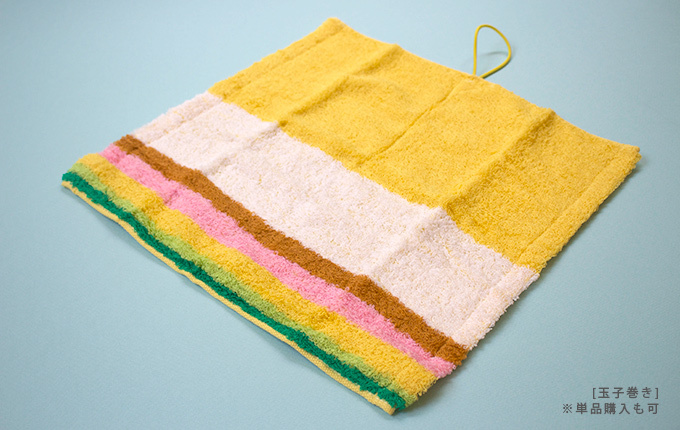 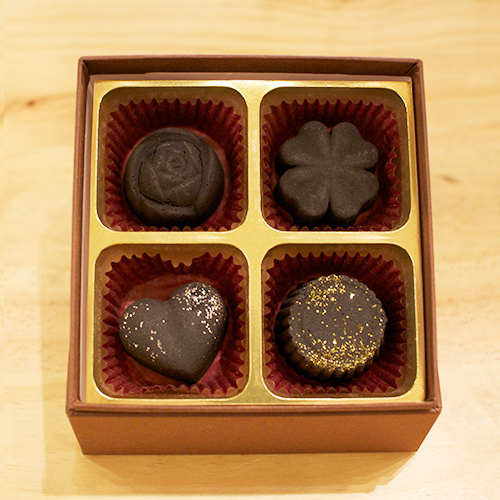 This product is "Norimaki"towels gift set.There are two types. 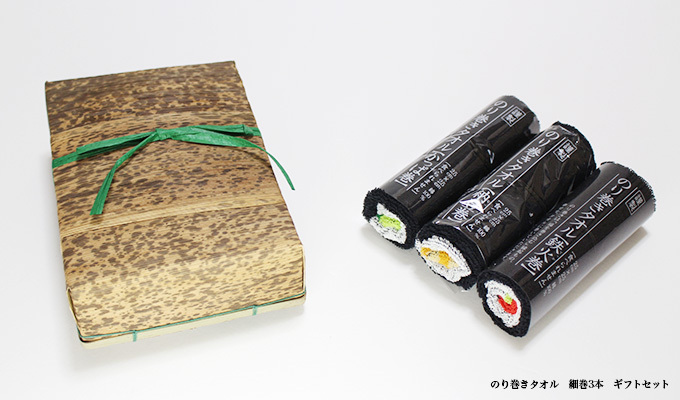 Two piece set(large roll and sushi rolled in egg) and three piece set( Tuna roll,Cucumber roll and Natto roll),each pakeaged in Mouchiku box,teid with string of paper. 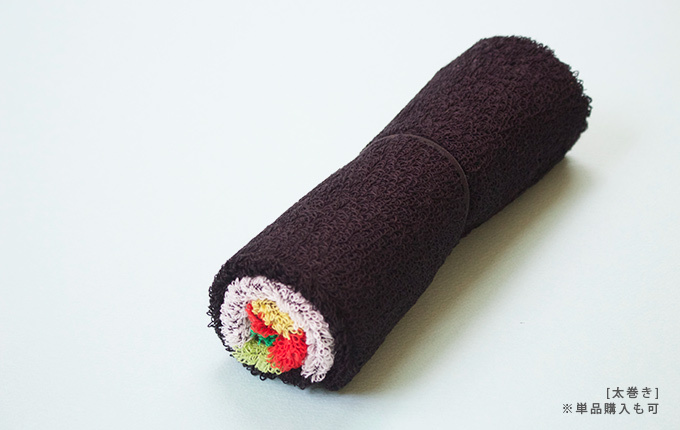 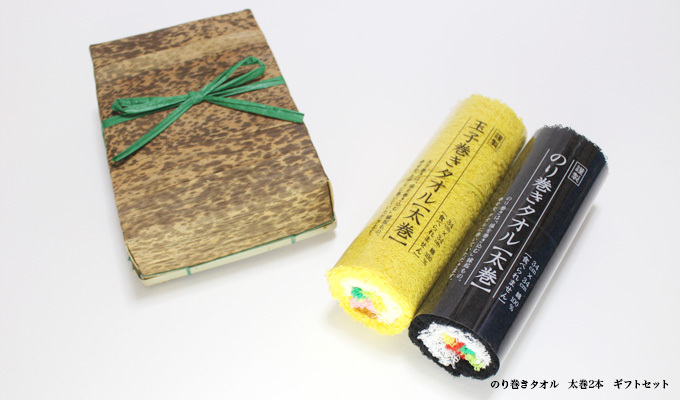 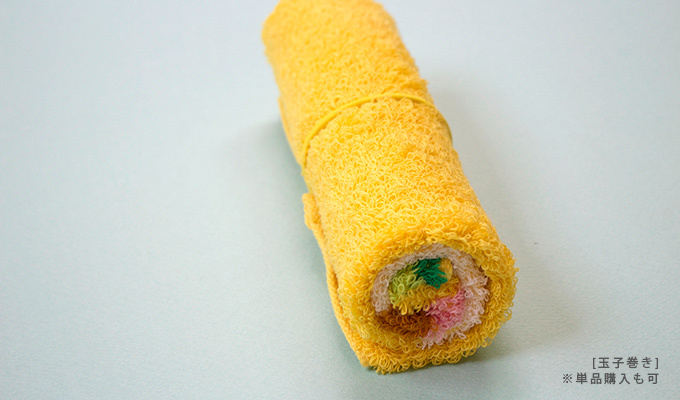 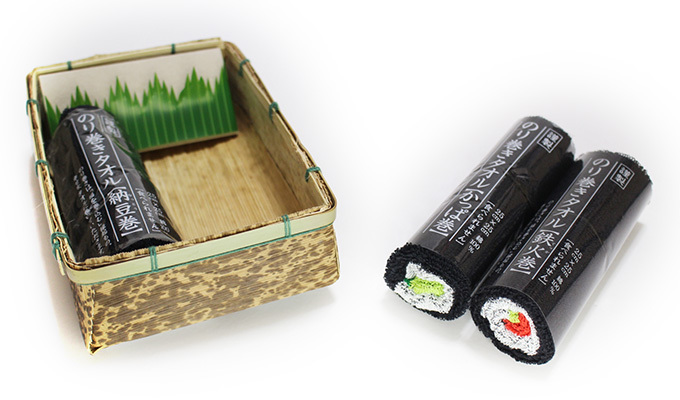 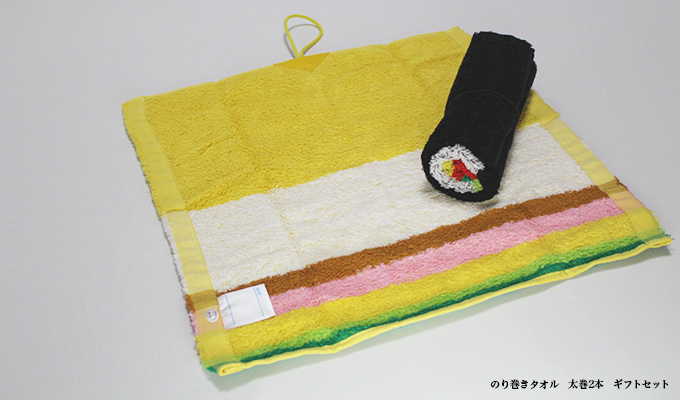 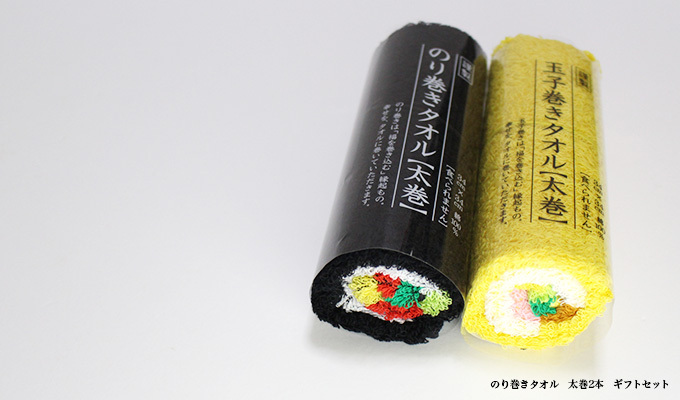 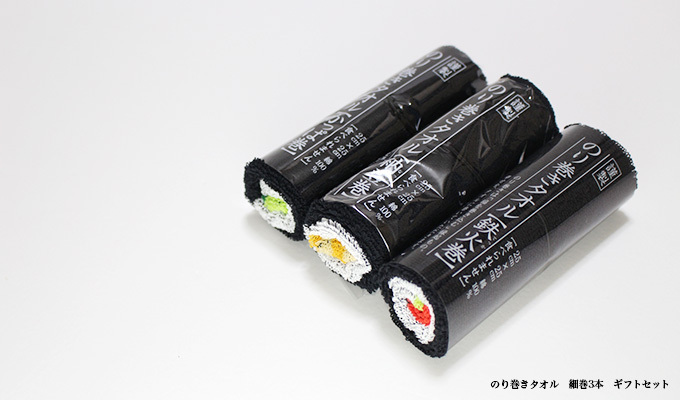 So these towels look real sushi rolls,if you present this products for someone,you can make him or her surprise. 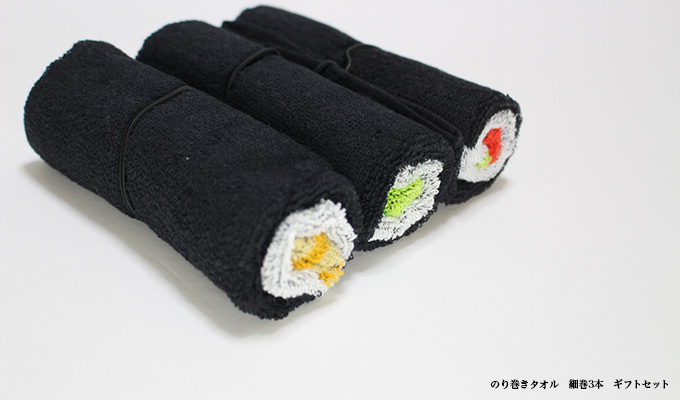 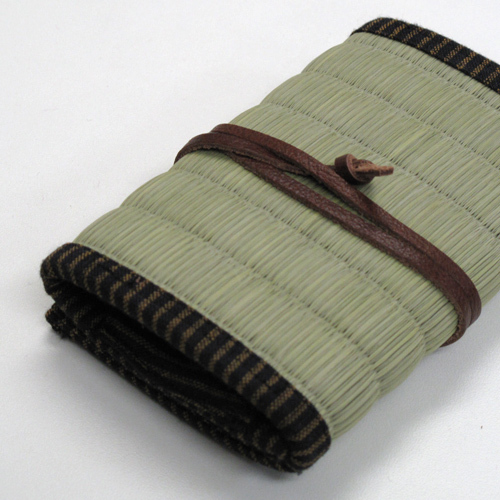 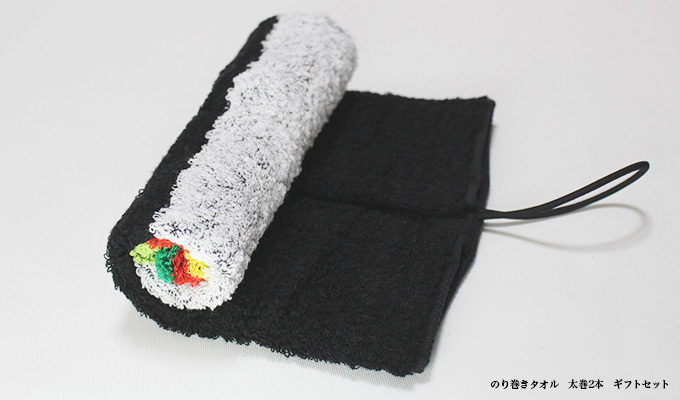 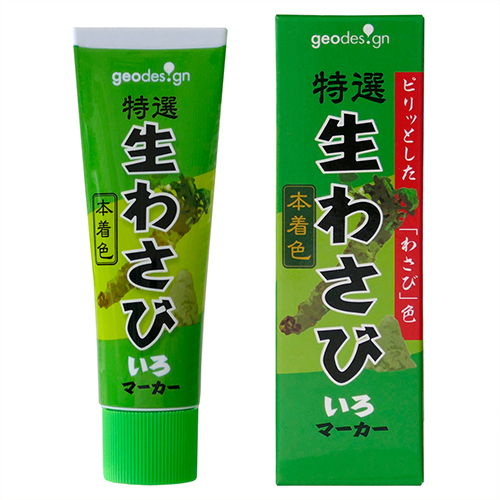 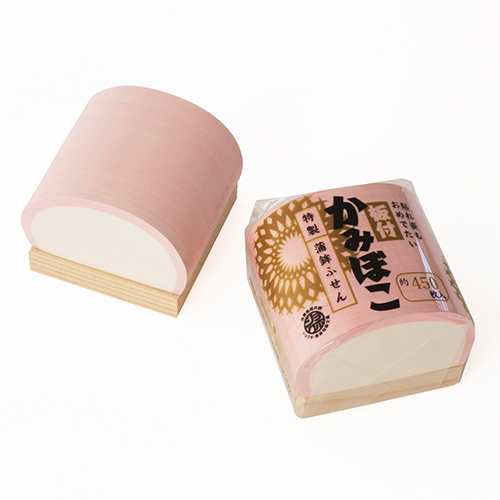 You unroll a norimaki towel,it becomes sqare,just good size.And you roll up again,always return to norimaki. 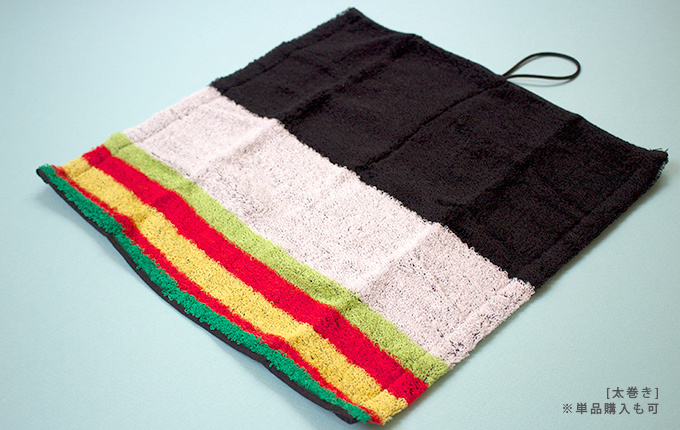 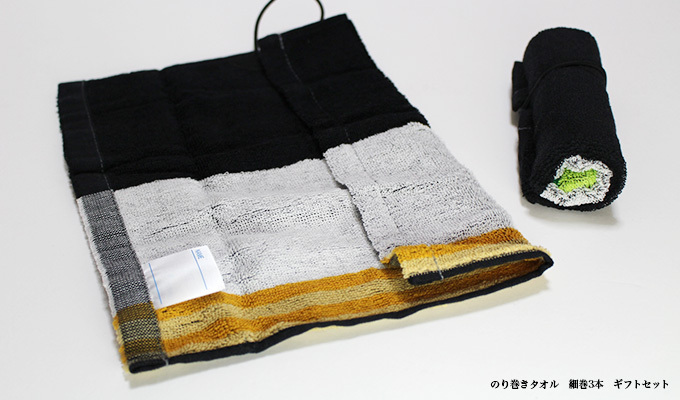 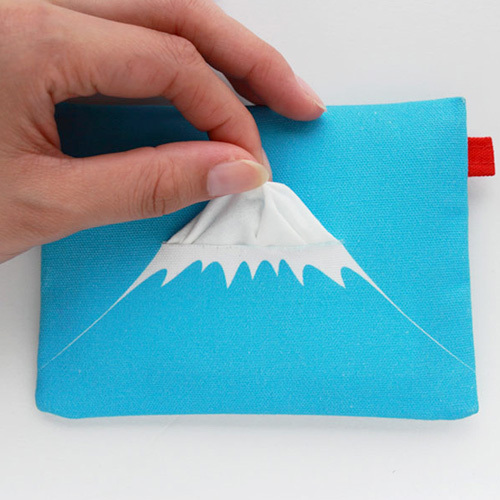 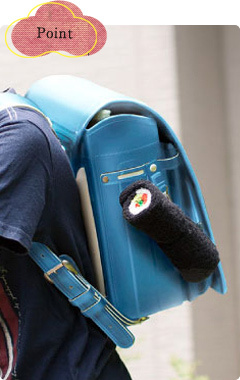 Norimaki towel has a hook,so you can hang it your bag.